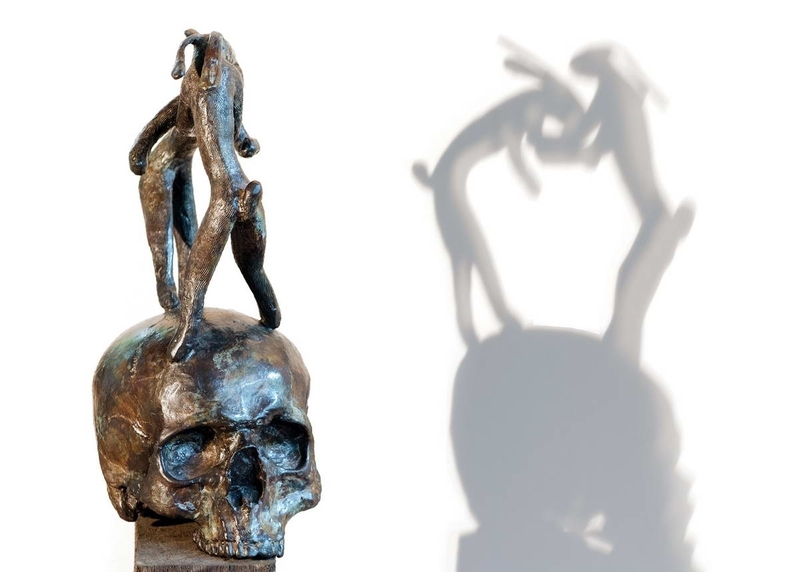 Guy du Toit and Carla Crafford met at the University of Pretoria in 2005 where they have been lecturing respectively in sculpture, photography and new media. 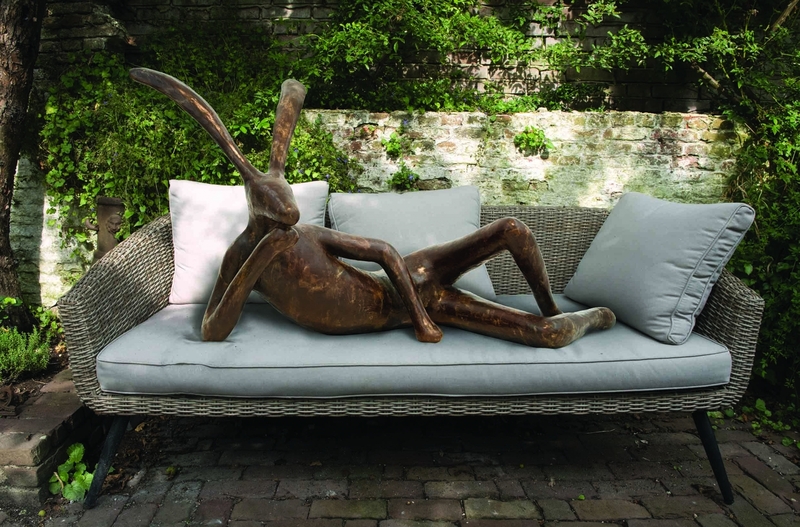 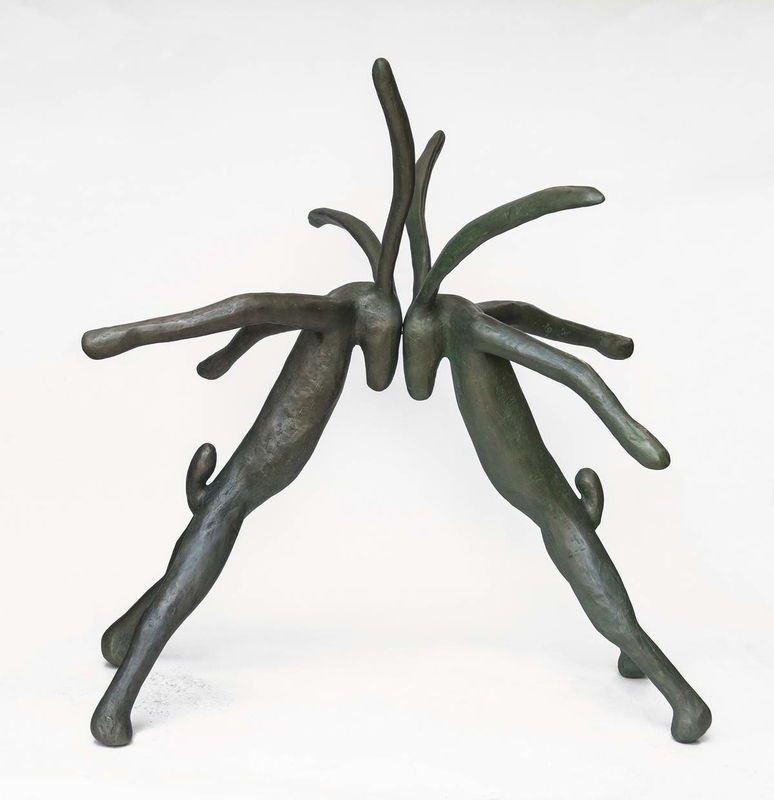 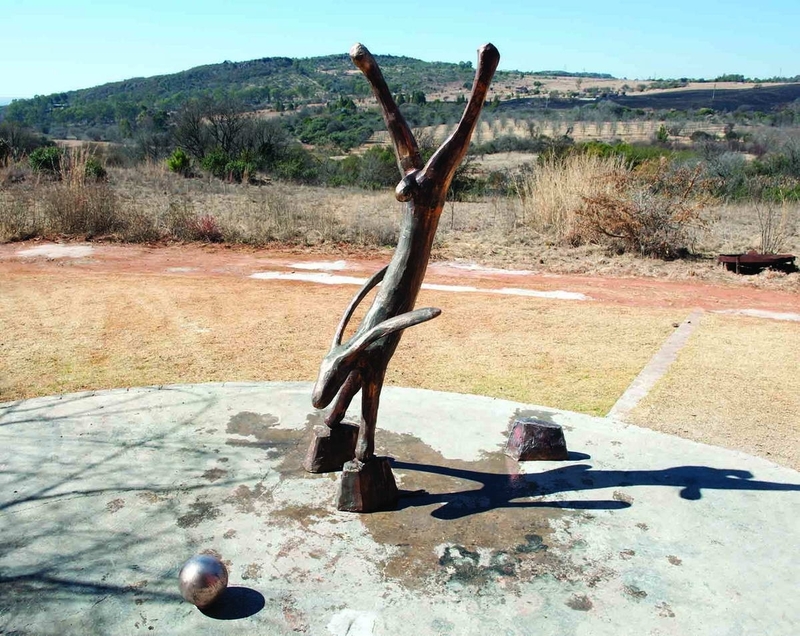 Since then Crafford has often photographed Du Toit’s sculptures for exhibitions or other purposes. 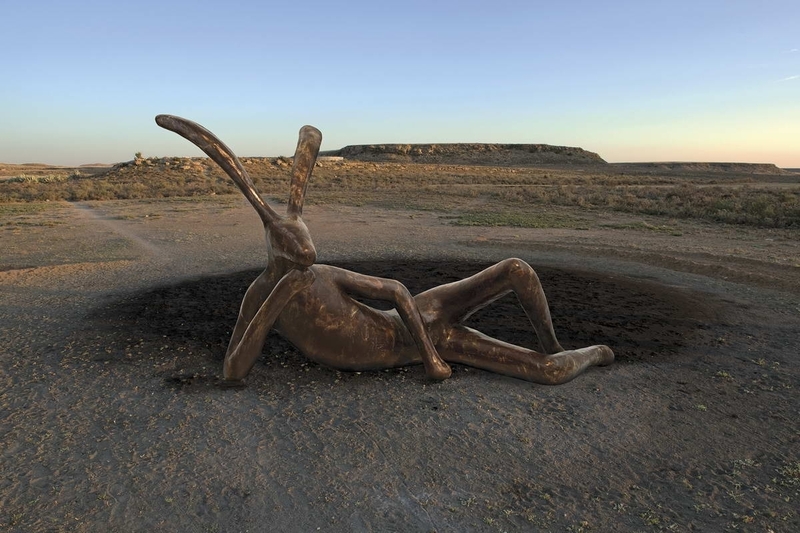 Besides documenting sculptures, the two have collaborated on various projects over the years, both locally and in Europe (i.e. 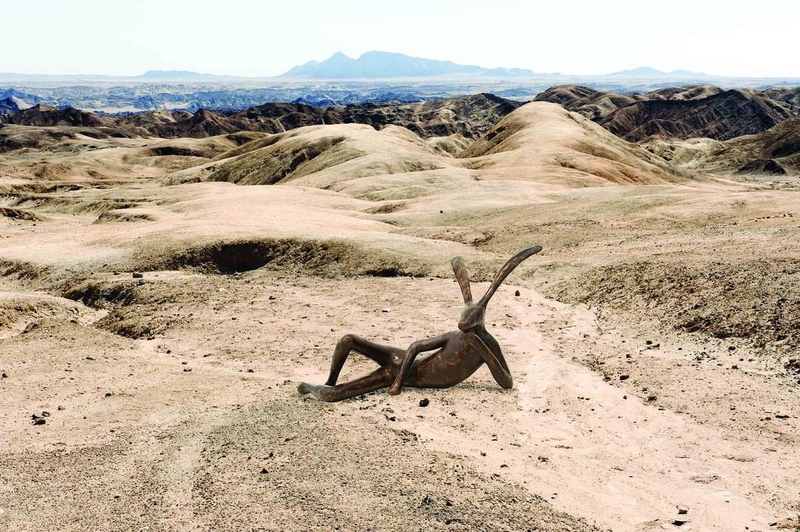 at the Venice Architecture Biennale in 2016, SAADJIES project in Holland, and in France). 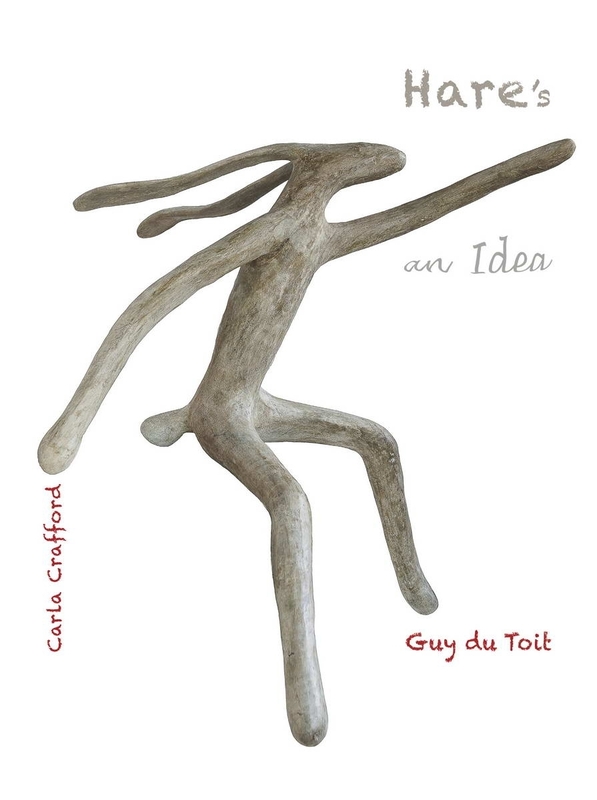 In March 2017, the book Guy du Toit Discovering the Object, produced by Crafford, was launched in Pretoria. 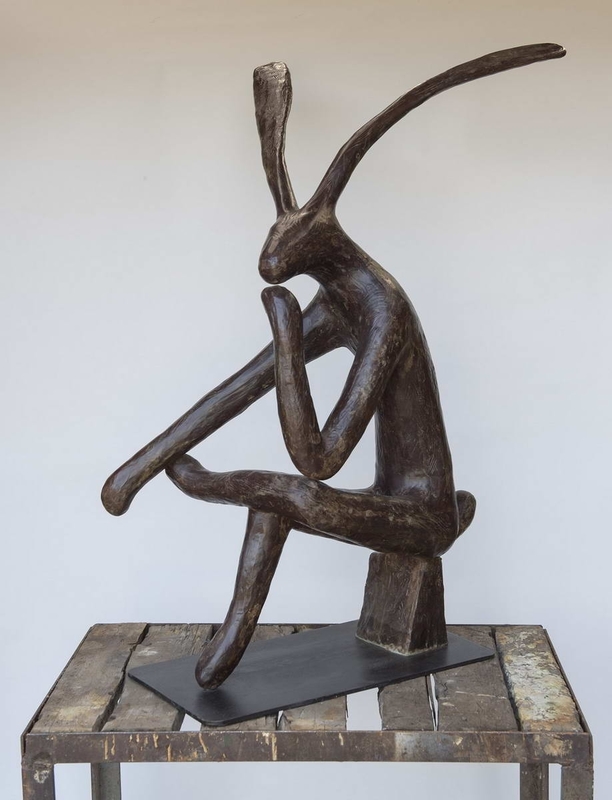 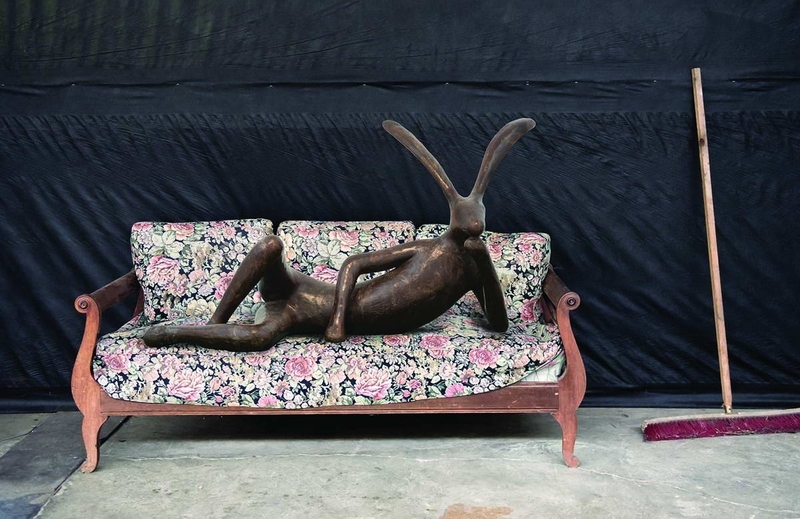 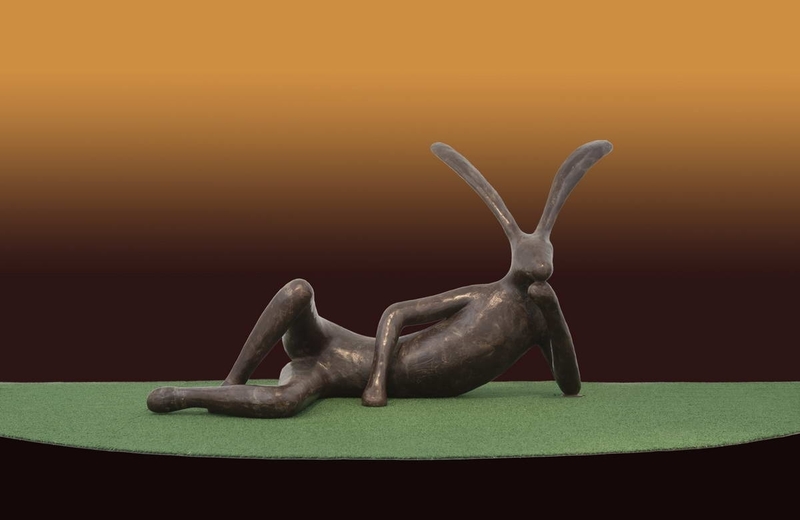 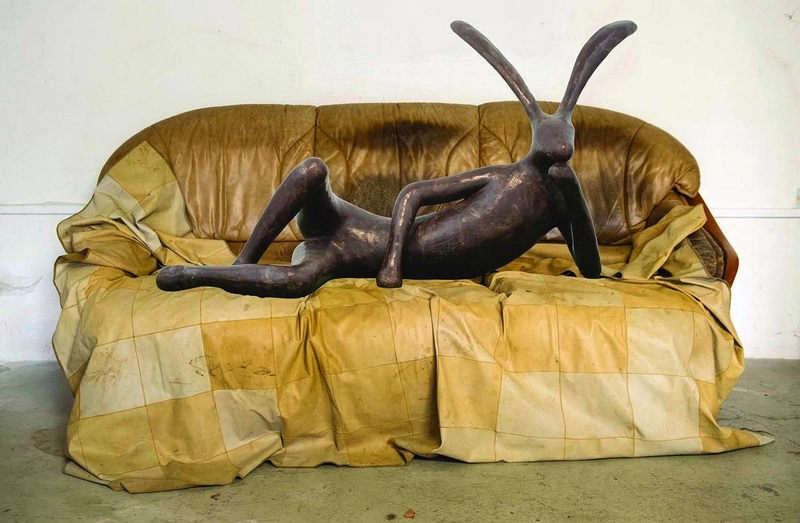 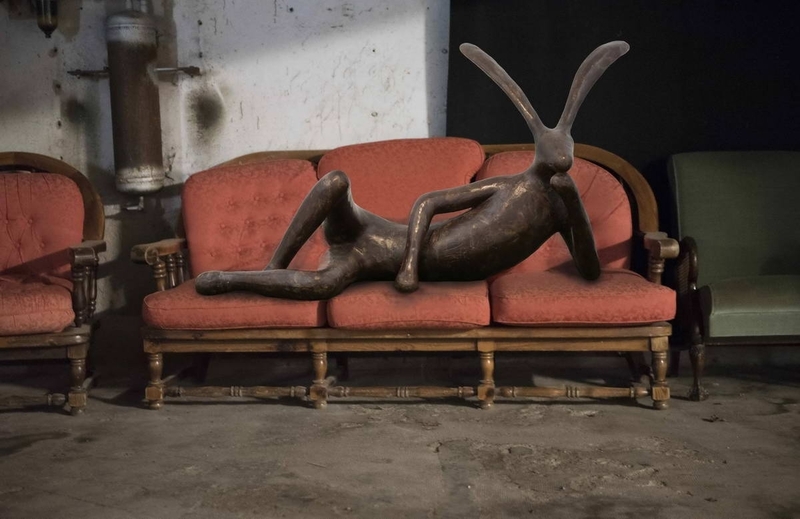 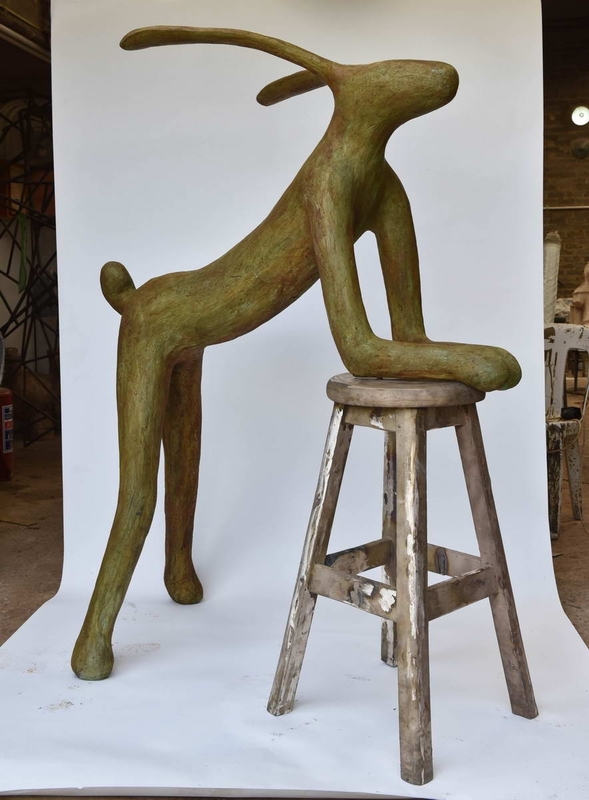 Hare There and Everywhere – the book that is launched at this exhibition is not a catalogue of hare sculptures. 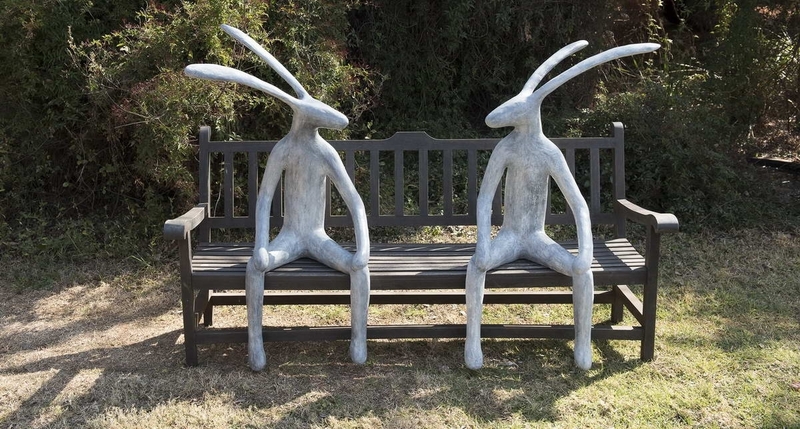 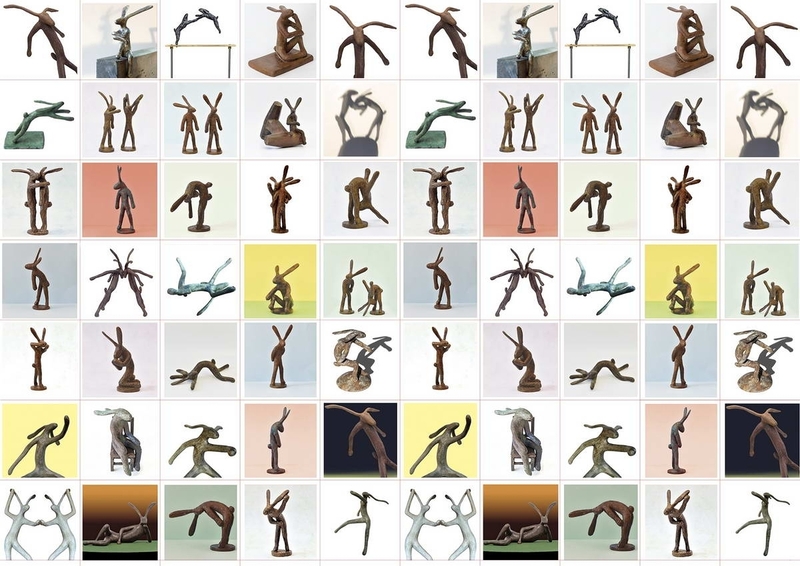 Instead, the hares are shown as characters that tell their own stories. 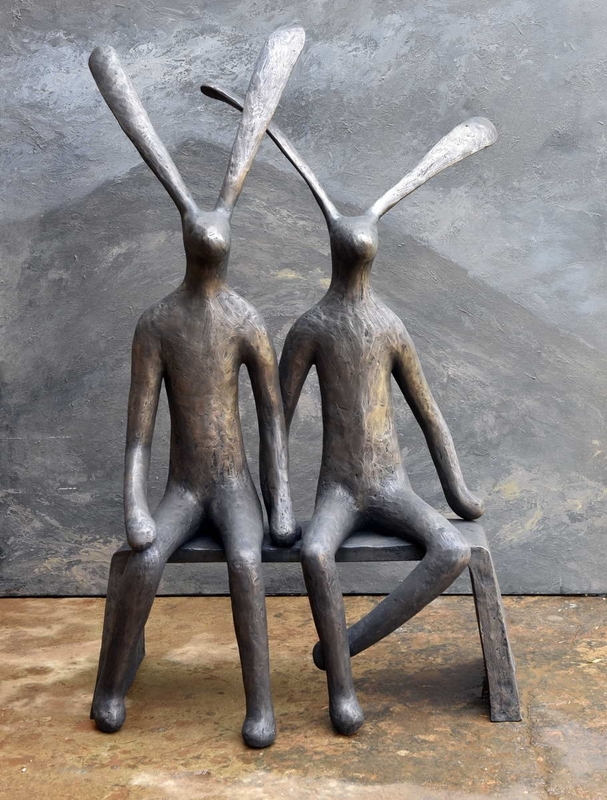 Cast in bronze the hares are given tangible status and are simultaneously celebrated in the book as the narrators.